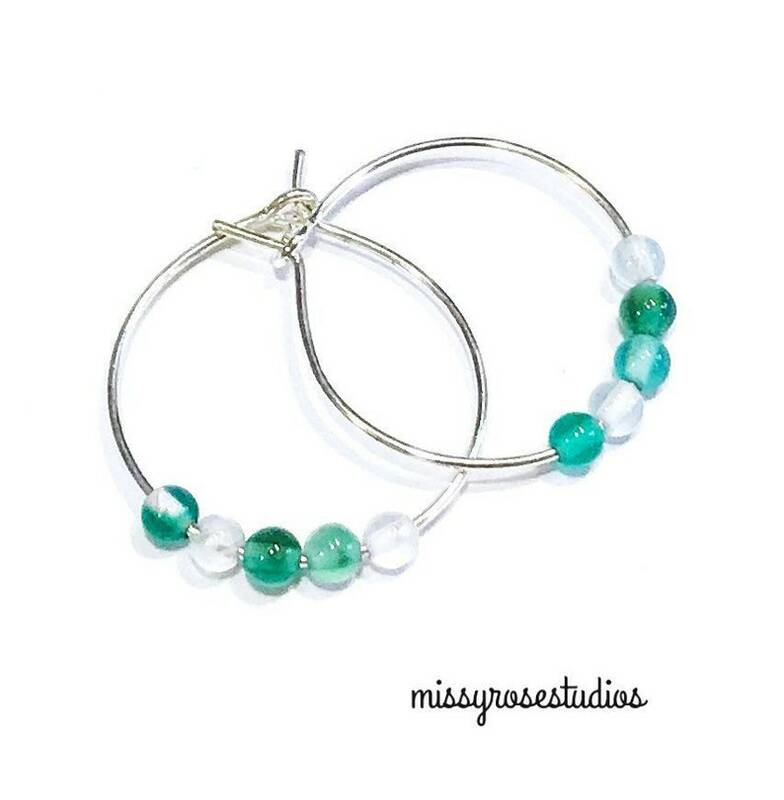 Dainty everyday hoops are silver plated with five 2mm size white and green agate gemstone beads. Classic minimal style for men, women, however you identify. 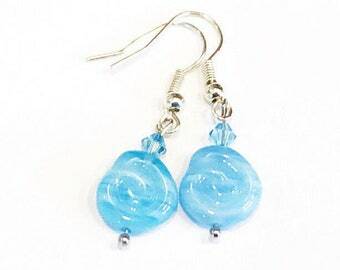 Tiny hoops are 0.75” (2cm) in diameter. Agate beads are dyed and natural with a polished smooth surface. Gift wrap available at checkout for an additional fee!